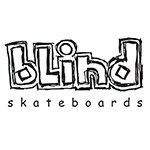 Here you have the Blind Jason Lee from the 1991 Spoof decks set on it's screen printed versión. One of the decks that changed skateboarding forever. Designed by Mark Mckee.